• If the items you ordered are in stock, we aim to handle your order and send it out within 1-2 workdays (Mon-Fri). • We ship from our Warehouse based in Den Haag, the Netherlands. • Shipping within the Netherlands: PostNL, next (work)day delivery. • Shipping within Europe usually takes: 2 – 10 workdays. *depending on country of destination and their local postal service. 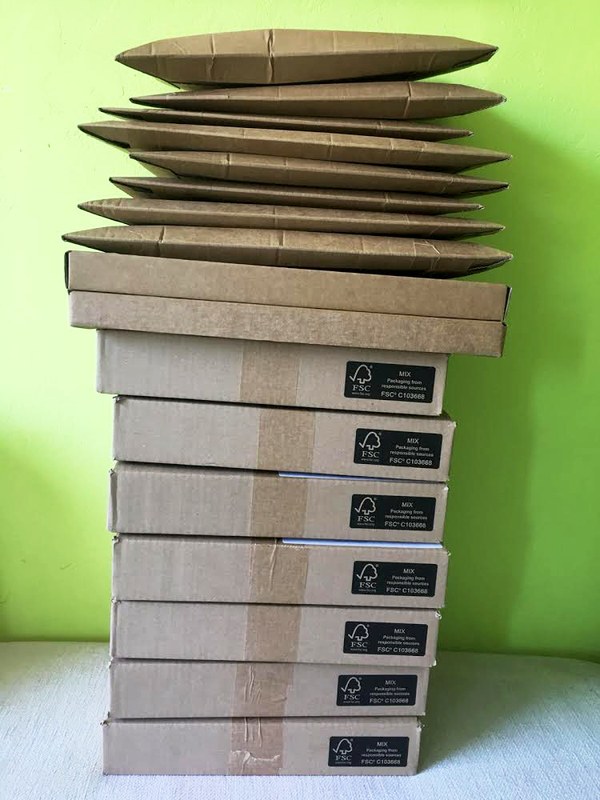 Our mission is to ship everything plastic free. • Our clothing has biodegradable packaging. • We use cardboard envelopes and boxes made from recycled paper and responsibly sourced wood (FSC certified). • In case of a return, please re-use our packages. Reduce // Re-Use // Recycle! Thank you.